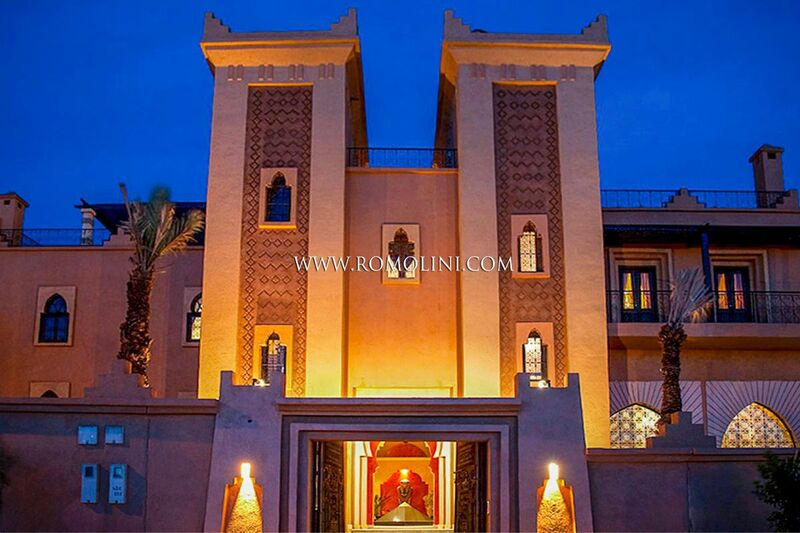 In the city of Ouarzazate, right at the feet of the Atlas Mountains, this beautiful luxury palace offers 909 sqm and 7 suites for an unrivaled comfort in the sunny Morocco. 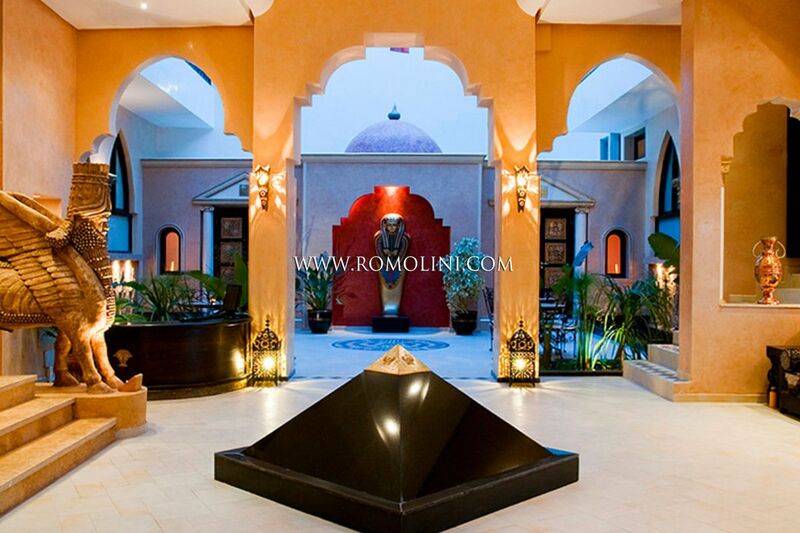 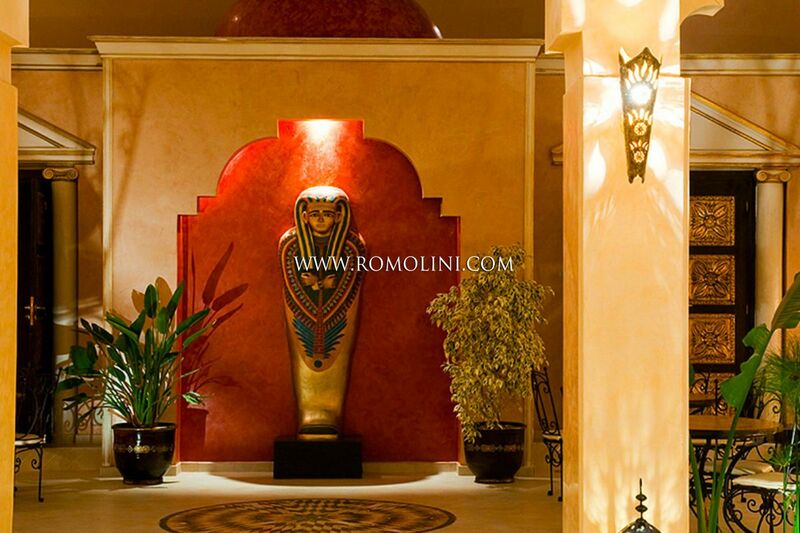 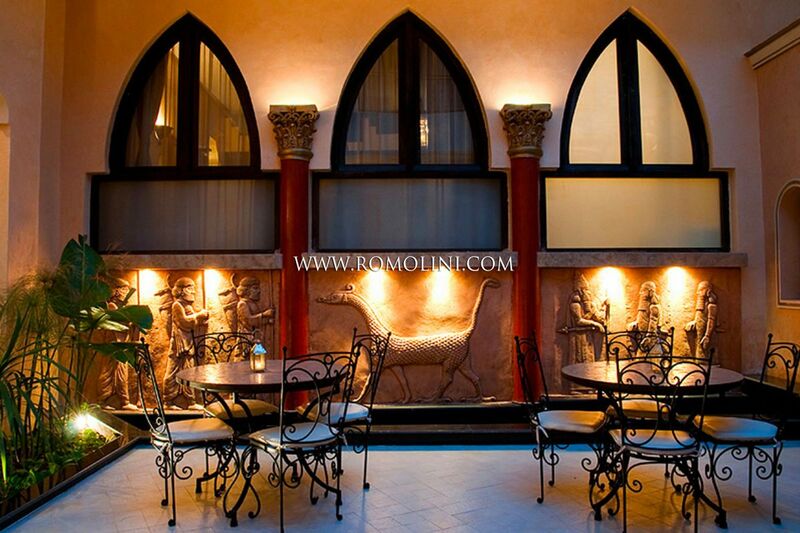 Built by a known film producer, the rooms of the villa have been decorated in styles based upon famous movies (among which Cleopatra, Lawrence of Arabia, Gladiator…). 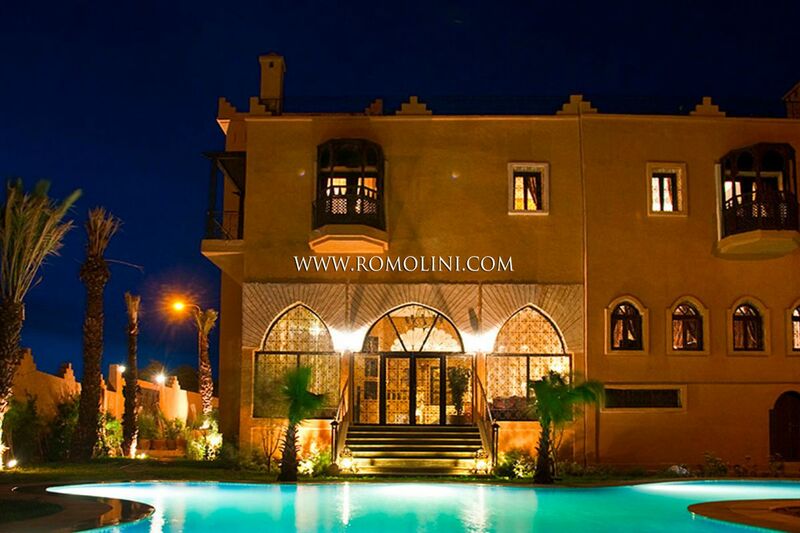 The villa is also embellished by a panoramic 414 sqm terrace overlooking the city and the Atlas Mountains.